There's bragging, there'strying to impress a boy, and then there's 16-year-old Zadie. Her first mistake was telling the boy she's crushing on that she could bring her dead sister back to life. Her second mistake? Actually doing it! When Zadie accidentally messes with the reaper's rite that should have claimed her sister Mara, things go horribly wrong (you think?). Mara isn't the same anymore Zadie isn't even sure she's completely human, and to top it off, a reaper is determined to collect Mara's soul no matter what. 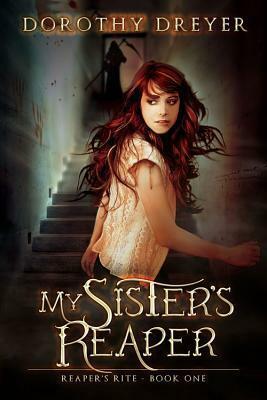 Now Zadie must figure out how to defeat her sister's reaper, intent on claiming both girls, or let Mara die . . . this time for good. Thisrefreshing paranormal love story encloaks a deeper lesson about sisterhood, consequence, and facing one's responsibilities." Dorothy Dreyer is a paranormal young adult fictionenthusiast who specializes in urban fantasy."